Driving home today, I heard that Mark Carney, the current Governor of the Bank of Canada, has been appointed Governor of the Bank of England. See here, here, and here. The initial reaction of the commentators I heard on the radio was uniformly positive. One said that Carney’s appointment was an “inspired choice”. The commentators made frequent reference to Canada’s stellar performance since the 2008 GFC and the regulations that contributed to the stability of the Canadian banking sector. As a business historian, I have a number of thoughts about today’s news. First, historians need to do far more to explain how Canada came to develop such a stable, if non-innovative, financial system. I have an article in the current issue of Enterprise and Society that deals with one piece of this puzzle. However, there are many other important topics in the financial history of Canada that need additional research. It’s an under-researched area. Second, business historians and business scholars more generally need to do more to try to understand how the reliance of the Canadian economy on natural resources has influenced its financial sector and made it different from that of, say, the United States, Britain, and other similar economies. It may be that the success Dr Carney enjoyed in Canada is not replicable in the United Kingdom, which has a very different economy. Third, we need to investigate how Canada’s historical experience with financialization (and de-financialization) compares with that of other countries. See here. Fourth, it is somewhat ironic that the Bank of England is now turning to the Bank of Canada for talent, as the Bank of Canada was created in the 1930s in part because the experts in the Bank of England persuaded the Canadian government of the wisdom of such a policy. See here. Fifth, given that the current British government believes that the United Kingdom is full and that the number of net migrants needs to be drastically cut, it is ironic that they are importing a non-British person to run the Bank of England. 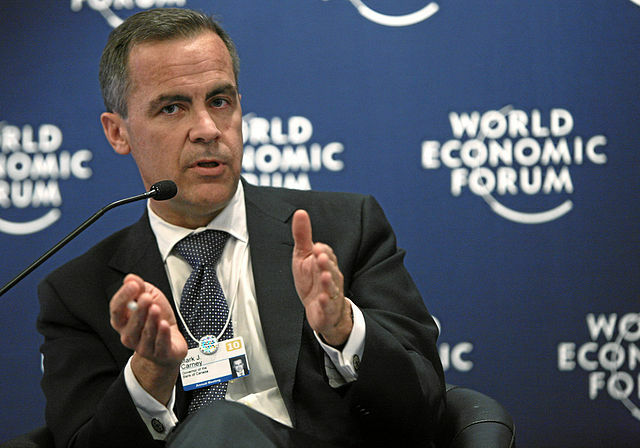 Update: you may be interested in this piece on Mark Carney’s views of the Occupy movement. In 2011, at least, he was surprisingly sympathetic to it. Thanks for picking up on the migration issue. It brings out the contradictions of Cameron’s position – the Tories are comfortable with appointing the “best man for the job in the world” but at the same time, put the UK Border Agency in a difficult position. Anyway, as you say the success will not carry but Stephanie Flanders (in the news but not on her blog) points to his skills to oversee a reorganization of the BoE. We’ll see. It’s an interesting move Andrew. I like all your background material. And I too wonder if the Brits aren’t in for a big disappointment. It’s not that Carney isn’t, as Bank Governors go, an interesting guy (memories of Graham Towers there perhaps). But surely it was the nature of the Canadian economy, as well as the political choices of Paul Martin and Chretien back in the 90s, that more directly explain the Canadian banks’ success, and not just the personality of the current governor. At any rate, thanks for the post.